The Burlesque style is something I think most people would like or at least at some point of time would love to try out. Now you have a chance to get some of these from Brii Underground Wear through their monthly hunt. 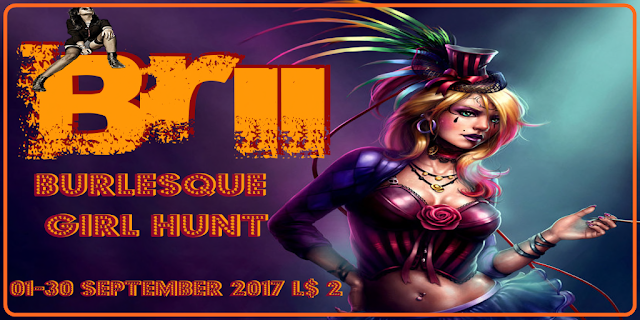 There are a total of 10 hunt prizes at only $2L and in fact I can forsee some of them are even suitable for the upcoming Halloween.